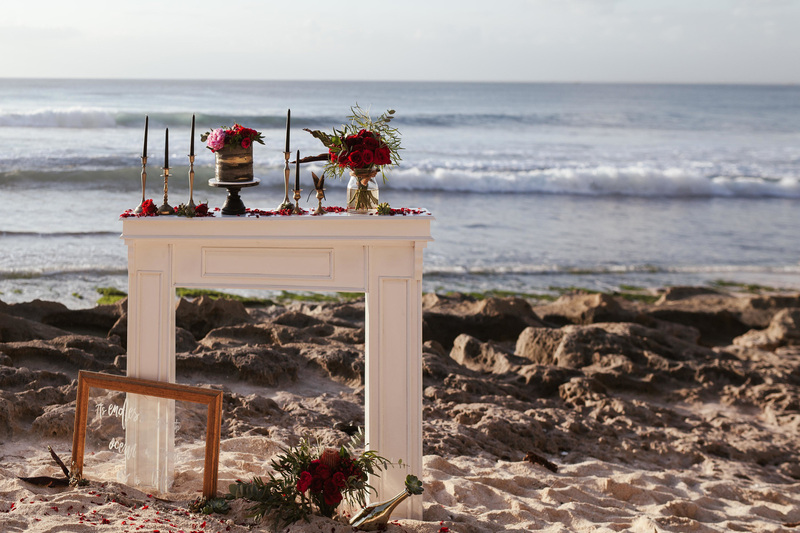 Ever been inspired to get married in the exotic coastline of a place like Bali? 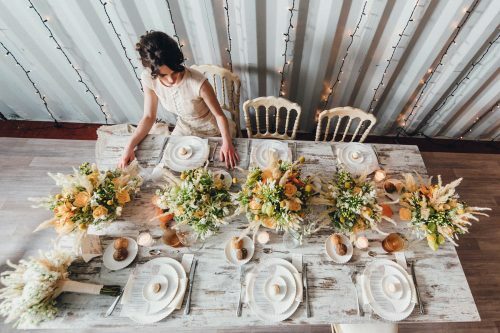 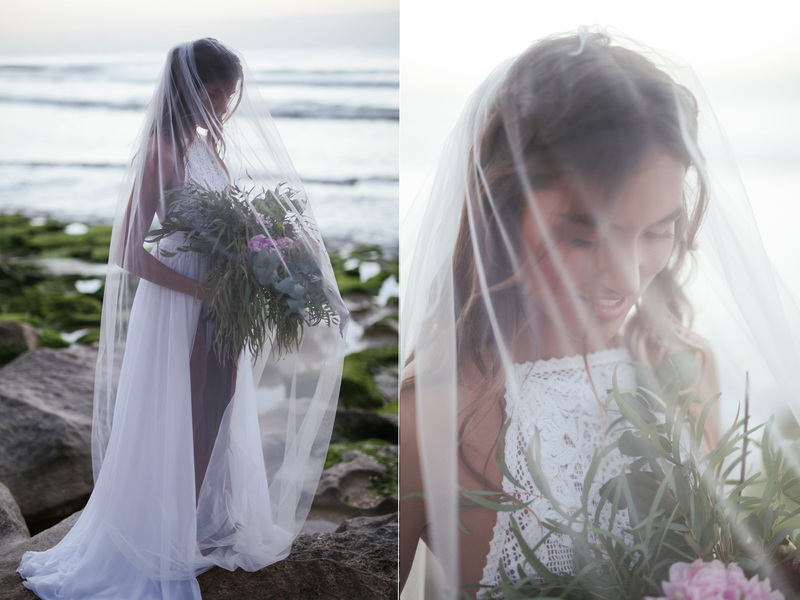 This photoshoot provides the visual manifestation and Tessa Kit Photography brings everything to life! 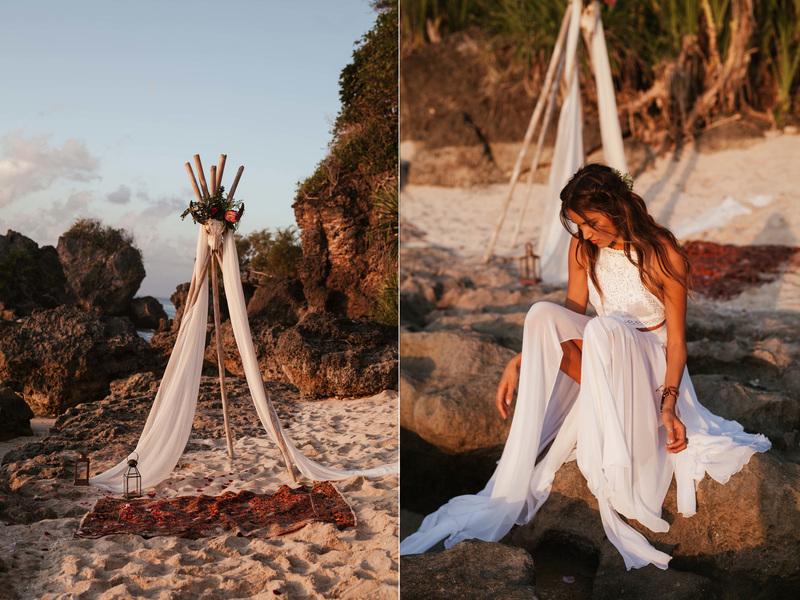 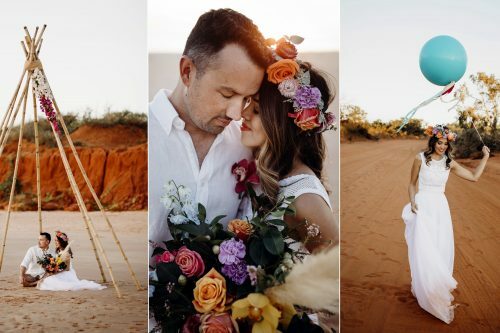 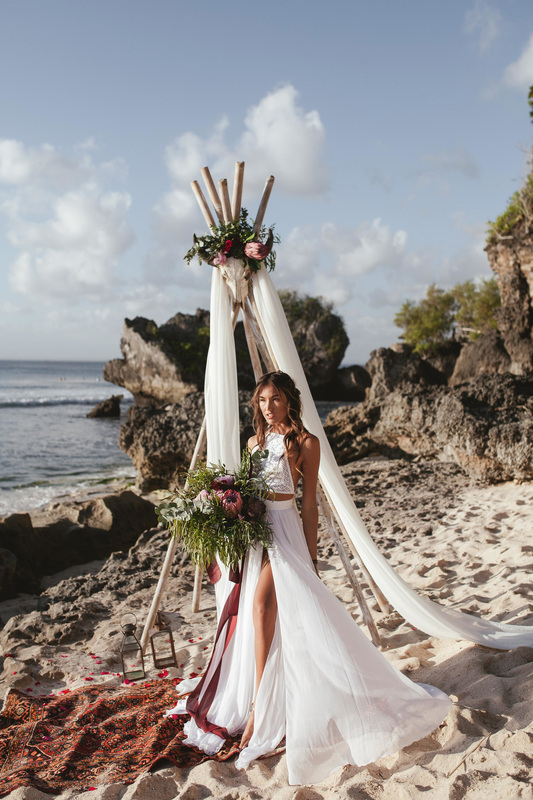 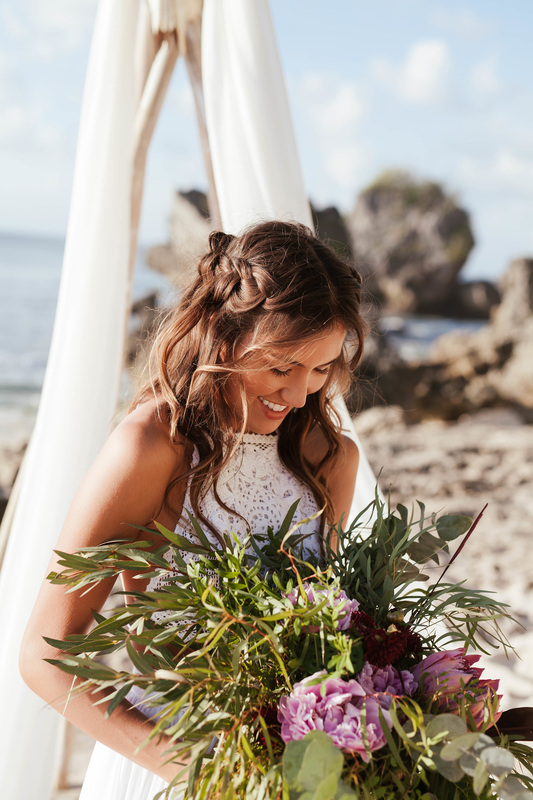 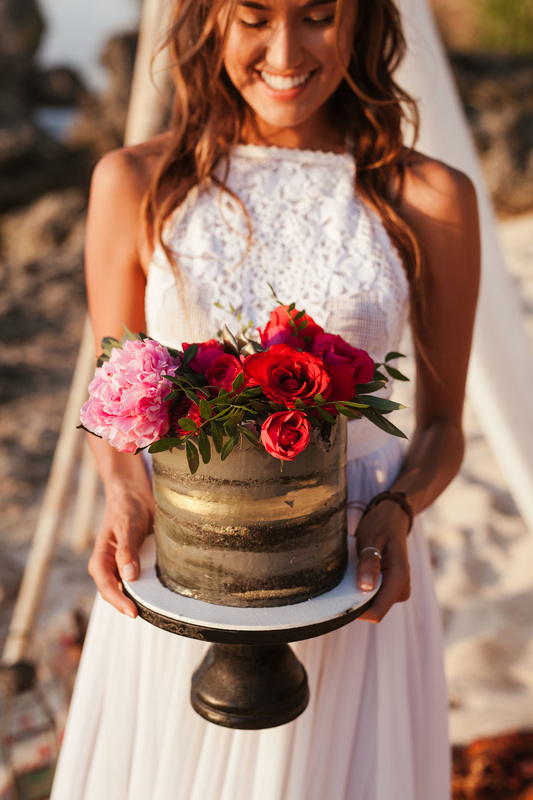 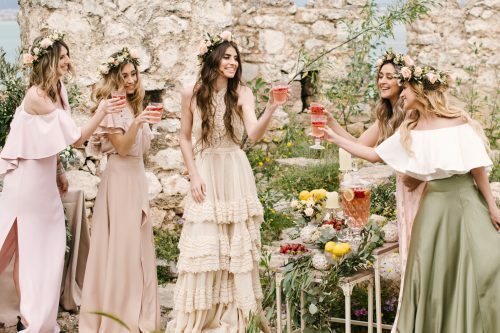 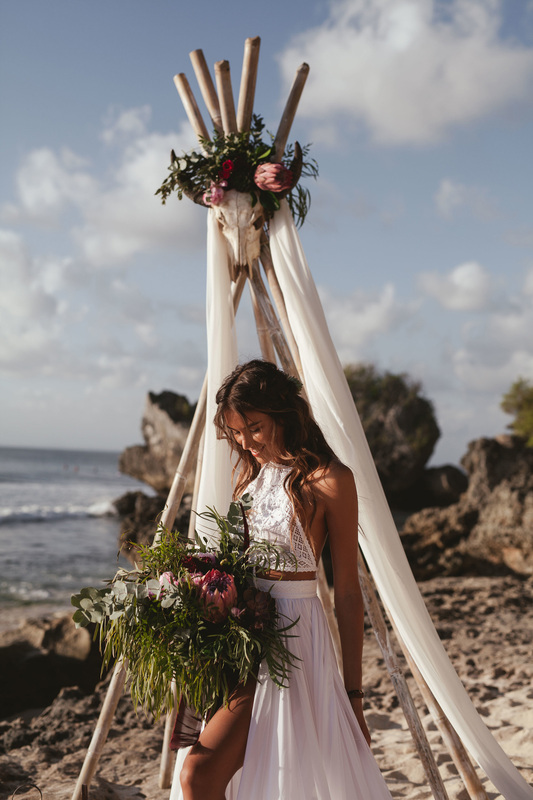 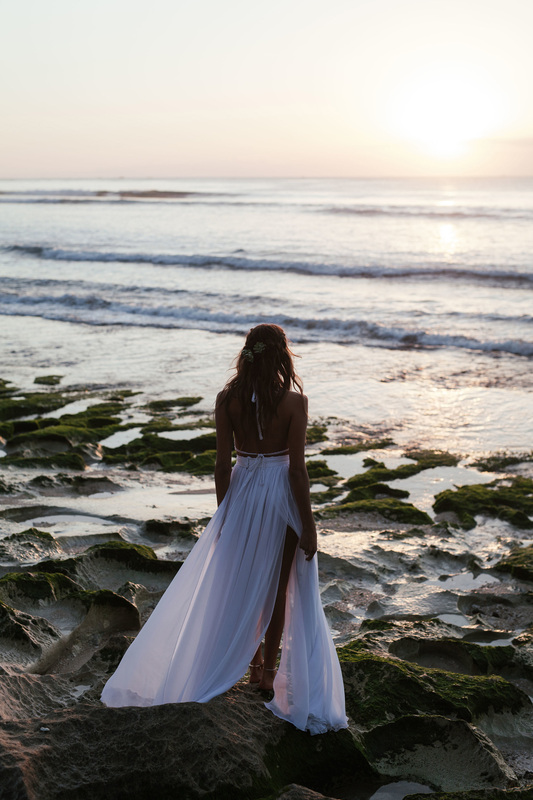 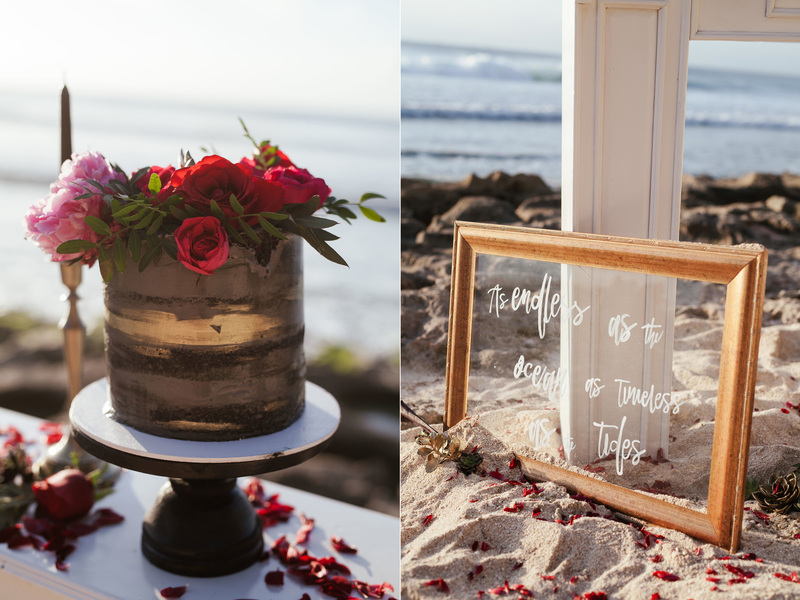 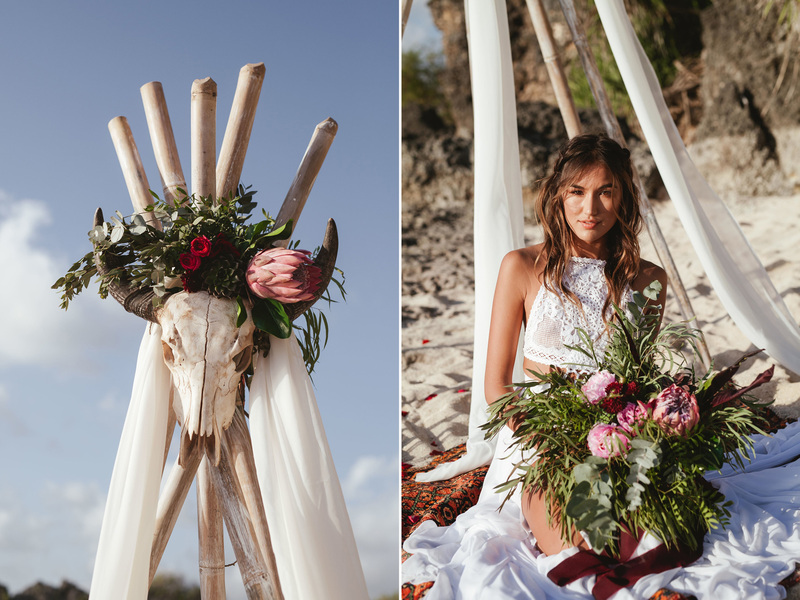 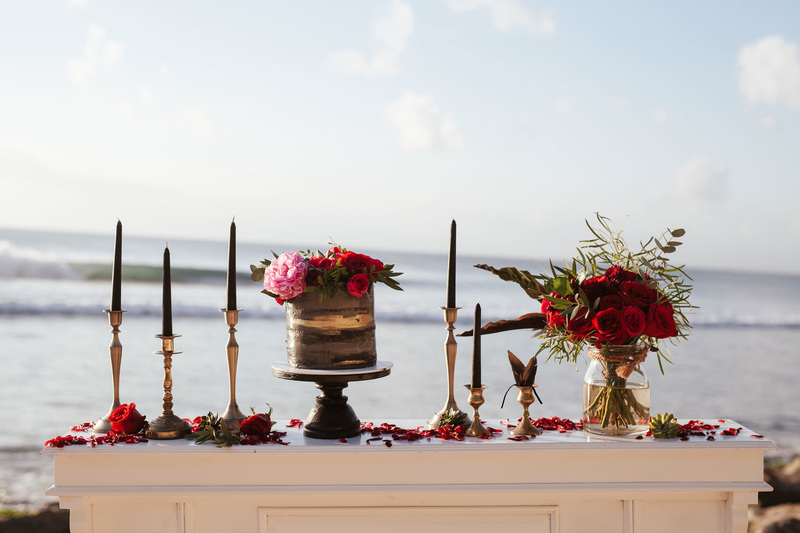 In the rugged rocky background, on a beach that has been sculpted by the ocean waves, Wonderland Bali Events set up a boho bridal atmosphere like no other! 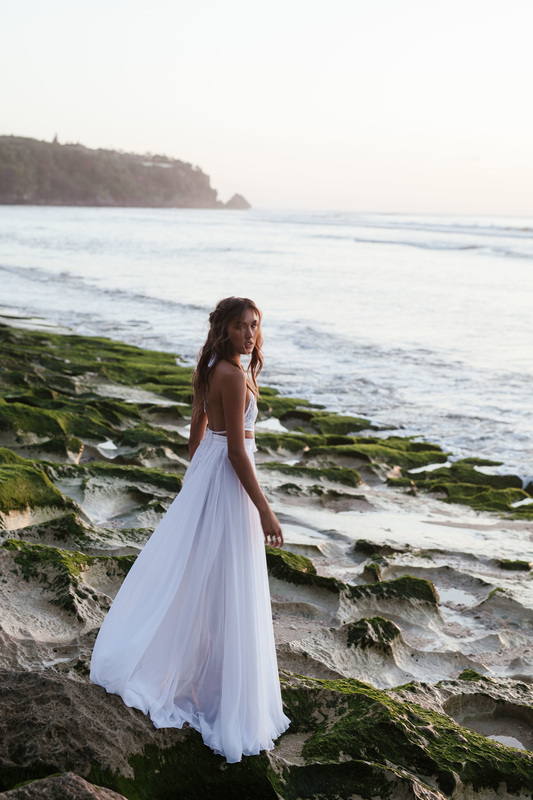 The bride resembles a castaway muse on a desert island fantasy. 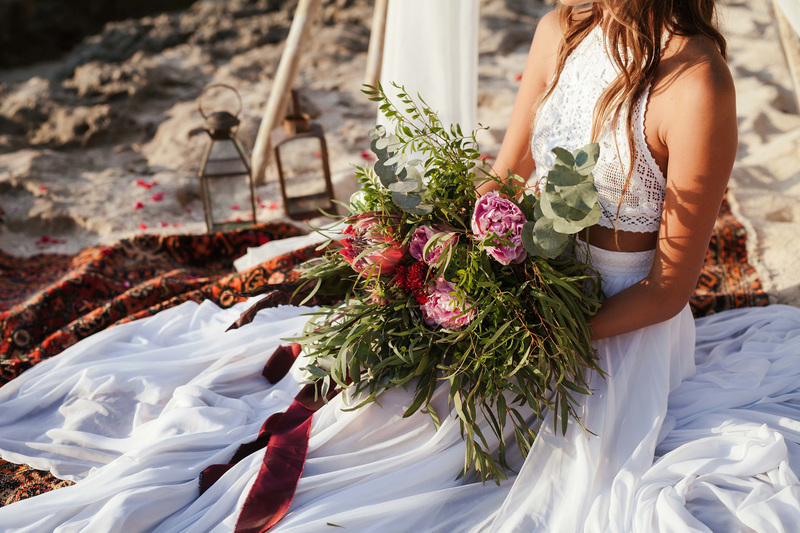 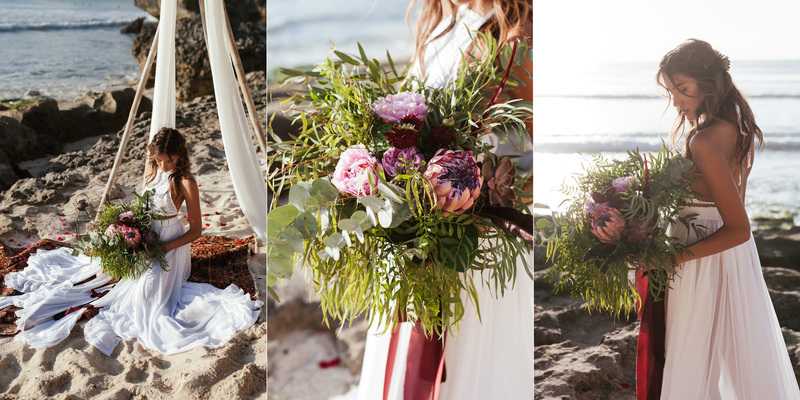 She is standing barefoot in her Ophelia Crop Top gown, with her feet in the sand and scattered red petals around her! 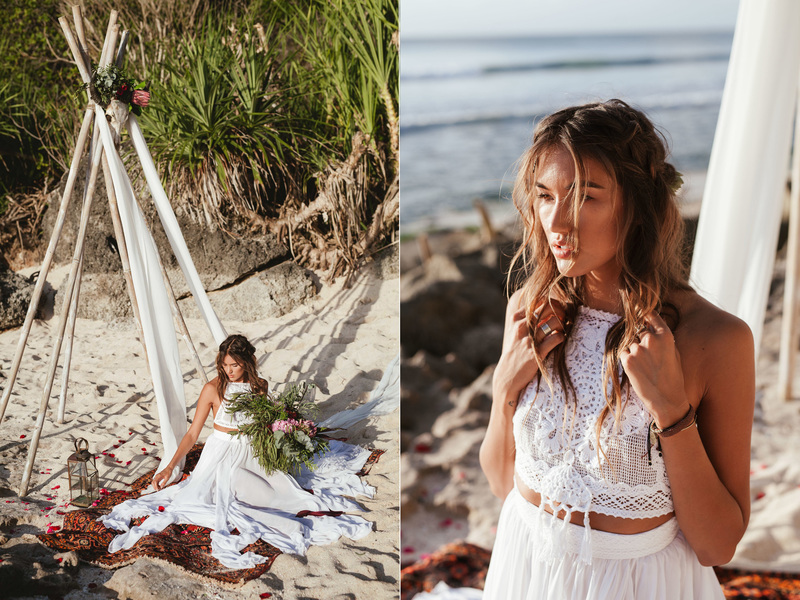 Her handmade dress forms a dreamcatcher embroidery in crochet that captivates the eye -as well as bohemian dreams! 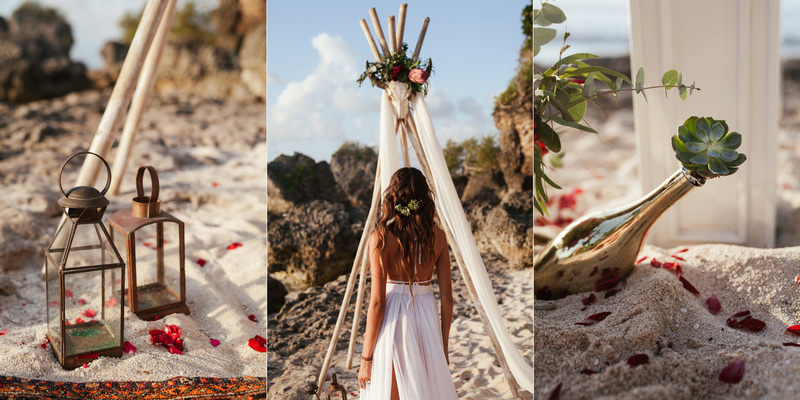 A tribal theme unfolds around her… a minimalistic tent on a Persian red carpet, details of nautical rope and mixed shades of gold and black against the sea background. 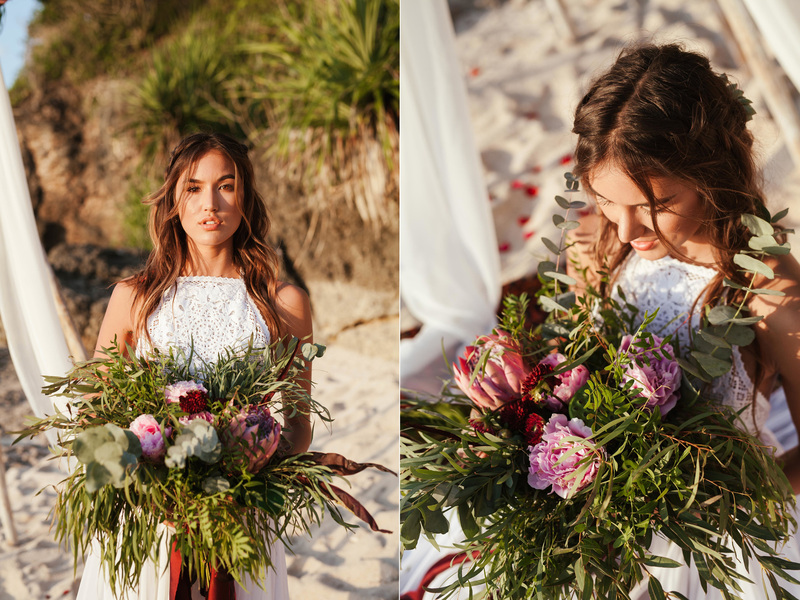 Under the bright sunshine, the bold blooms in red stand out as the bride radiates in her pure white wedding dress! 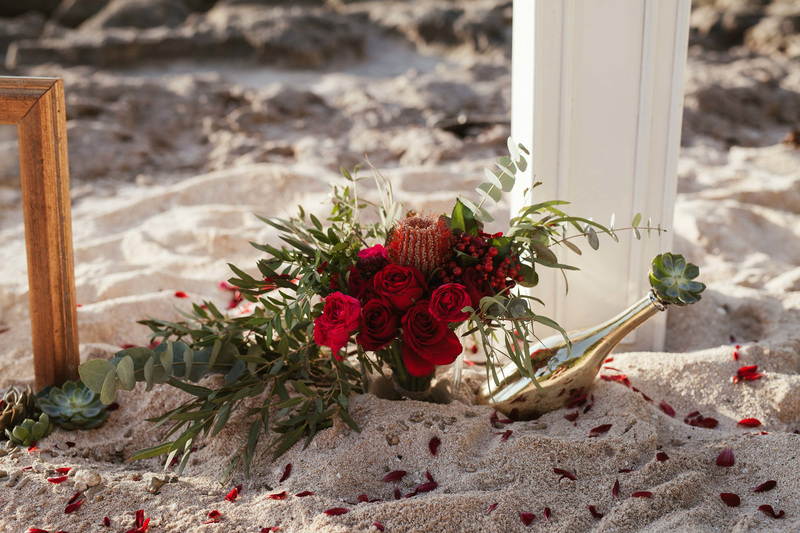 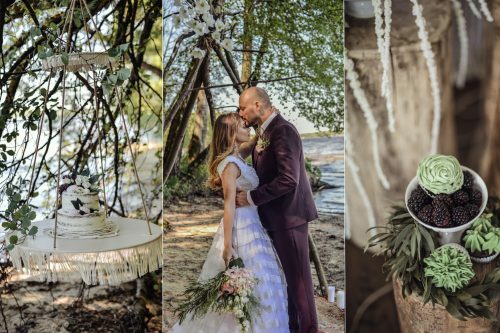 The magic is once again in the details… In the picture frame half buried in the sand, the artistic touches of the candles and the black lanterns resting on the golden sand. 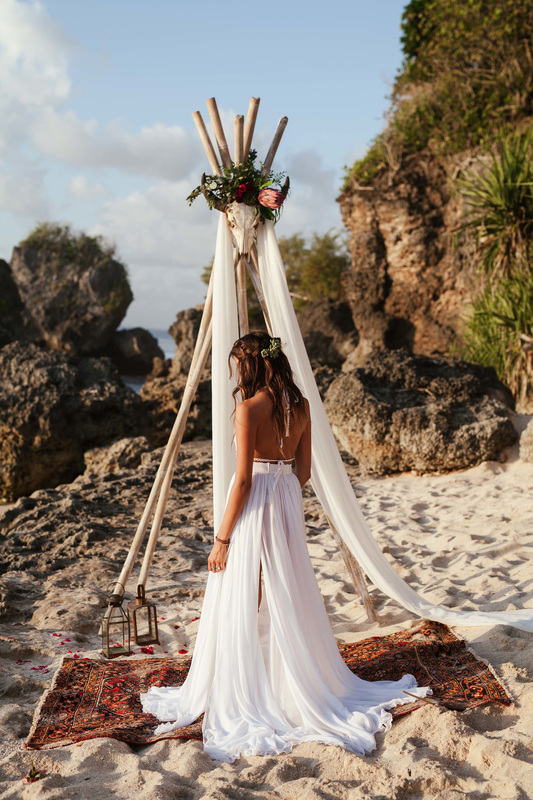 Inspired to get married already? 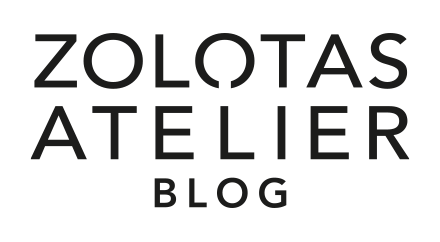 You can make your positive remark in the comments section!